In the US they are “shopping carts” (I believe). 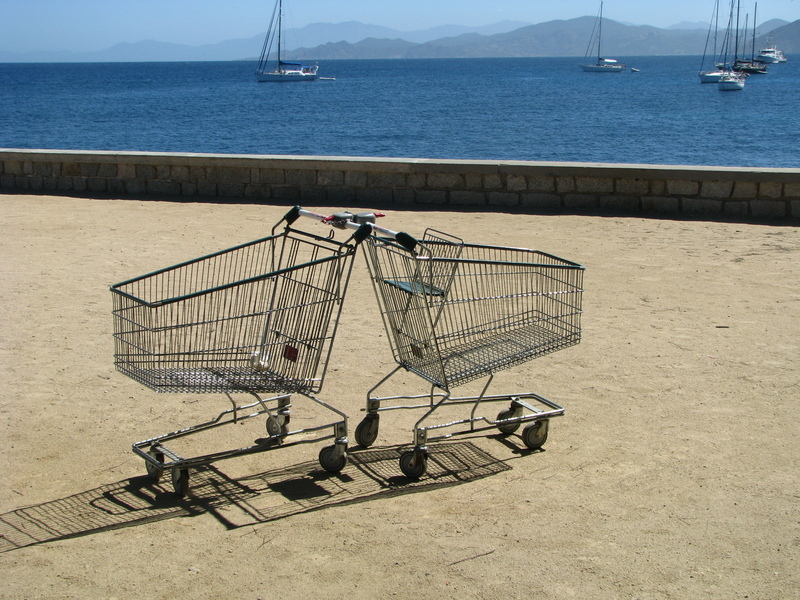 The French refer to them, rather imperiously as “Chariots” and for the Brits we have the humble supermarket trolley, and also that onderful phrase – “To be off one’s trolley” meaning “Are you completely mad?” And so to the madness of supermarket trolleys and where people leave them – the energy they take to push them as fas as they did and then abandon them in the strangst of places. Yes, this is ust an excuse to post a couple of trolley photos – the first taken last last week on the highway around the French town of Toulouse. The second photo taken in Corsica. 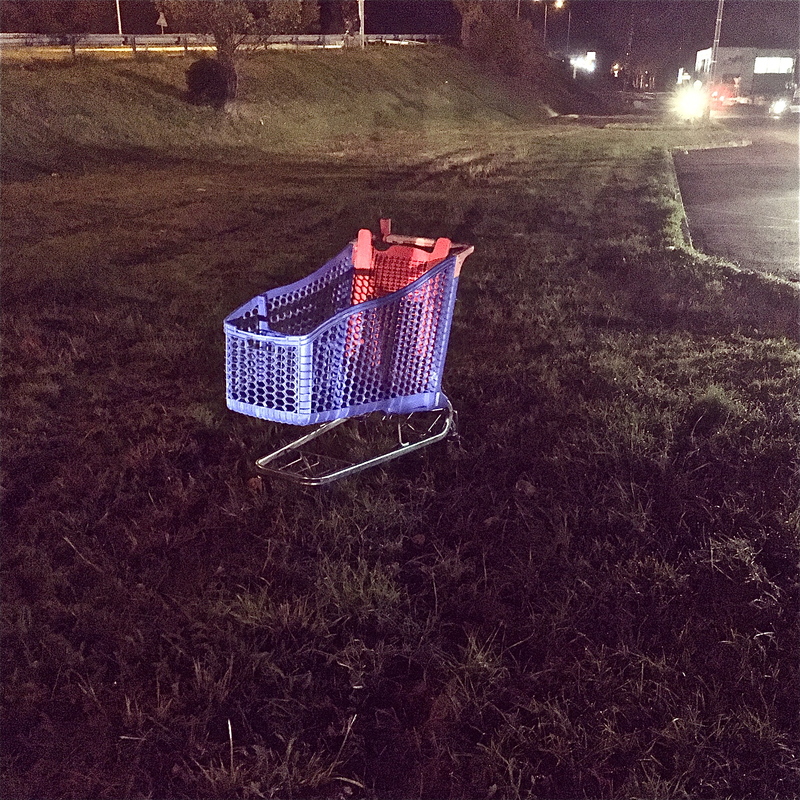 Posted in Art, drifting, photography and tagged cart, France, supermarket, trolley. Bookmark the permalink. Wouoldn’t the Corsican trolleys be considered as vintage now?